College Nine Ten Year Anniversary Celebration Poster. 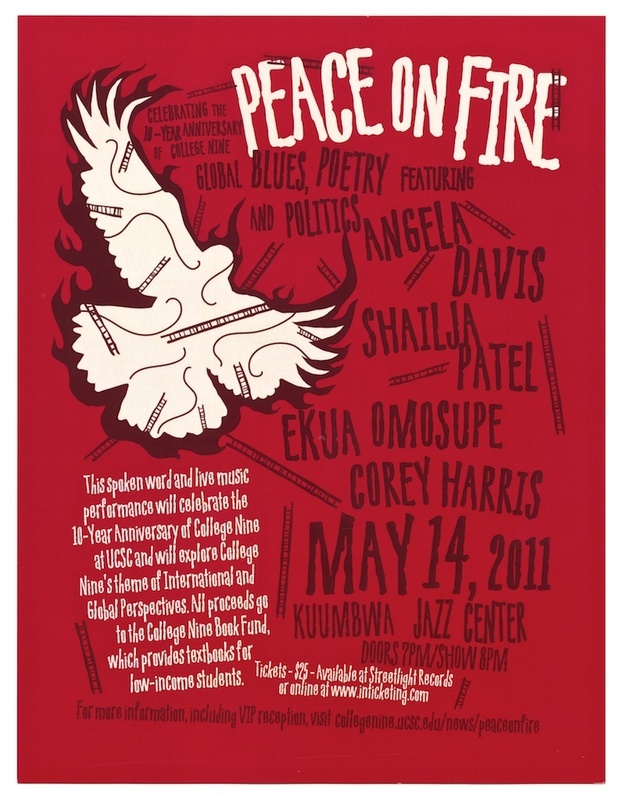 "Peace on Fire" May 14, 2011. “Peace of Fire poster,” Digital Exhibits, accessed April 20, 2019, https://exhibits.library.ucsc.edu/items/show/1908.